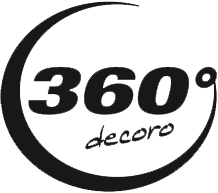 360 decoro Holding GmbH (FN 404952v) (hereinafter referred to as “we”, “us” or “360 decoro Holding GmbH”) welcomes you on our website and thanks you for your interest in our company and the products and services we offer. We are committed to protect your private data and a careful processing of these. Please make sure that a clear identification of you as a person is possible.